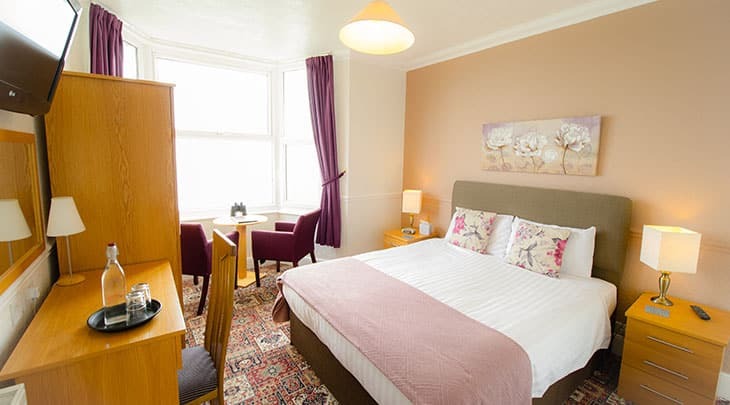 Situated on the second floor of the hotel the comfortable Bay View bedrooms at The Clifton are furnished with oak furniture, and have binoculars provided to make the most of the panoramic views of Sandown Bay from the comfy chairs through the bay window. Bay View rooms have 5' king size beds with excellent pocket sprung mattresses, en-suite bathrooms with walk in showers and luxury eco-friendly toiletries. 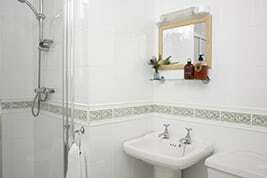 Facilities include free WiFi, 32'' flat screen TV, hairdryers and desk fans, and a hot drinks refreshment tray.